Energy prices are constantly going up. Invest in your home rather than in your utility company. Have a Fixed Payment and put a stop to an uncertain energy future. PV Systems has a guaranteed return on investment. Your current electric bill does not. Today’s realtors are finding that homes and businesses that have Solar PV Systems installed are selling faster and for more money than other similar properties. Professional appraisers have estimated that for every $1 in savings generated by a Solar PV System, you can see up to $20 in increased property value! This means that a system which produces or saves $100 per month in electricity translates into a property value increase of $20,000! It’s no secret that embracing clean, reliable energy is critical if we are to tackle climate change. Having Solar Panels could be the equivalent of planting hundreds of trees per year, reducing millions of carbon footprint emissions and driving billions of miles. When you purchase a residential solar system, the federal government will give you a 30% tax credit, lowering the amount of taxes you owe by 30% of the cost of the solar system. If you purchase a home solar system that costs $25,000, you can apply for a Federal Tax Credit to receive a credit of $7,500 when you file your personal federal income taxes the following year. This solar incentive is different from a cash rebate, which gives you money back after filing for the rebate. 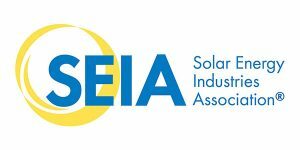 2019 is the final year when you can apply for the 30% tax credit as the federal solar investment credit for residential rooftop solar is set to expire in 2021. There has never been a better time to go solar – click here to find out if solar by Clever Energy is right for you! From electric vehicles, to green construction, to habitat conservation plans, many companies across the world are making tremendous efforts to build a stronger, more conscious and healthier generation. At Clever Energy, we will always celebrate smart and noble goals like these; because we believe empowering people also means empowering a greener, safer, and more resilient future for all.